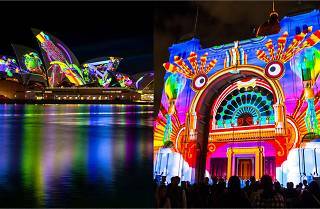 Is Vivid Sydney or Melbourne's White Night a better festival? Is it better to have one brilliant night of jaw-dropping light shows and art, or is three weeks a better length of time? Should festivities go all night till 7am, or is 11pm just fine? 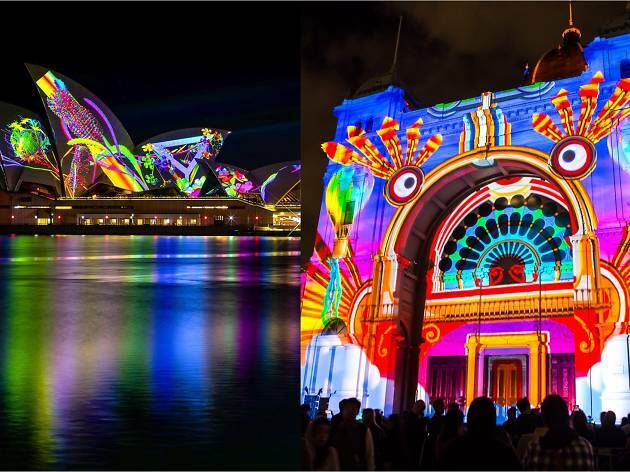 White Night will take on Vivid at the Australian Event Awards to find out which city has the better light show spectacular. In one corner: Vivid. Sydney's three-week festival included 100 installations and a 4km 'light walk' along the foreshore. Some 2 million people visited the festival, which can be good or bad depending on how you feel about crowds. Images of the Opera House sails shining with projections have been beamed all around the world over the event's ten-year history, and thanks to Vivid Ideas and Vivid Live, the festival keeps extending its reach beyond pretty lights. In the other: White Night. Melbourne icons like Flinders Street Station, St Paul's Cathedral and the Royal Exhibition Building were turned into colourful pieces of art, thanks to perfectly mapped out light projections. It's a one-night-only deal, and some 600,000 people came out to revel in the art, installations and general weirdness that White Night means. The early part of the night is hella crowded, but if you do White Night right and go into the city at 2am, you'll be able to wander the streets in relative peace and it's not too hard to get from one end of the city to the other. The Australian Event Award winners will be announced on Wednesday, November 21, in the decidedly neutral destination of the Sunshine Coast. Vivid Sydney doesn't return until next winter, but there's plenty of art to see all year round. Check out our hit-list of the best art in Sydney this month.